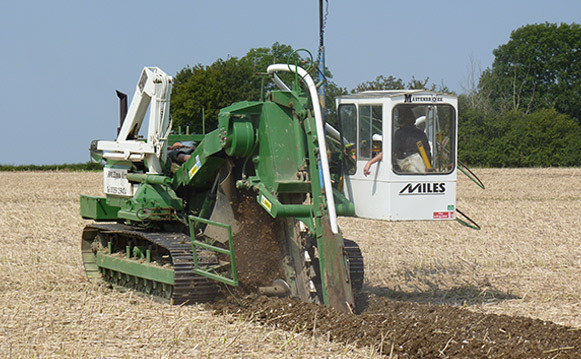 Utilising our fleet of Mastenbroek trenchers equipped with Trimble ® RTK GPS software we are at the forefront of agricultural Land Drainage installation. 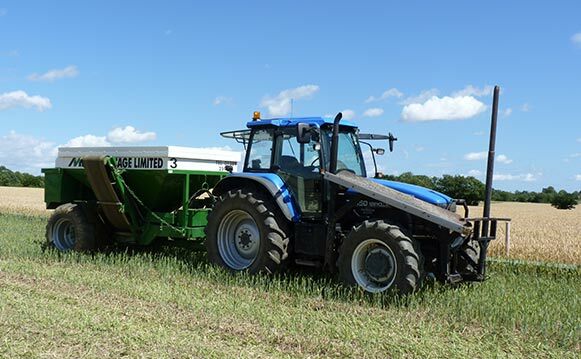 From the initial enquiry placed with a member of our drainage management team, we will work with yourselves to design, price and install the correct drainage solution to ensure that maximum productivity can be gained from your arable land. Our specialised staff will travel to site and perform a topographical survey of the area in question to ensure that we design the most effective drainage scheme to suit land, either carried out on foot or by means of ATV. The use of GPS in the trenchers makes the installation of the scheme much faster, therefore reducing downtime of the field and making installation cheaper for the client. All of our machines have full automation to allow the machine to respond to changes in the ground as often found in wet or unstable ground. When necessary we will use tracked stone carts to allow us to tread even more lightly across the land, an absolute must when working on volatile or sensitive soils. All of our stone carts, whether wheeled or tracked have a stone depth placement system meaning that the trencher can continue to install pipe without waiting for the next load of stone to arrive. The stone carts then catch up while the trencher is surveying the next drain, leading to less downtime than more conventional stone placement methods.